Hotaru Corporation Co., Ltd., located in Osaka, was founded in 2007 as a subsidiary of Hotaru Printing Co., Ltd. that works on offset printing. With its concept, "commitment to print on media other than paper by using digital printers," the company started business with such unconventional idea in the then printing industry. The full-color 3D printer "3DUJ-553" introduced by the company is also an extension of 2D digital print. JMC Corporation was founded in 1992. The company engages in prototype production of sand casting in which melting metal is poured to manufacture parts or other products, while it also works on metal cutting, measurement and inspection employing industrial CT scan, etc. 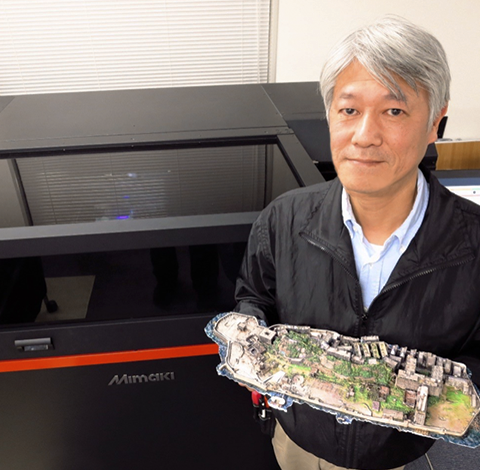 Already equipped with 3D printers employing techniques such as stereolithography and powder sintering/fixing method, the company introduced Mimaki Engineering's inkjet 3D printer "3DUJ-553" in June 2018. B＆P Inc. is a company that uses inkjet printers to produce various advertising materials and displays. The company ships a wide variety of large-sized prints and modeled objects on a daily basis to meet customers' orders. 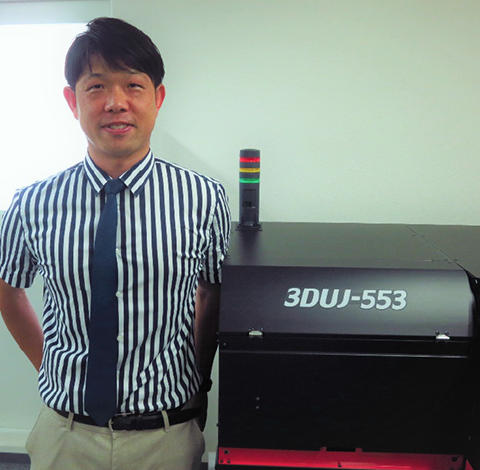 In March 2018, the company introduced Mimaki Engineering's "3DUJ-553" 3D printer. It has started to receive test orders since June and has modeled 3D objects as requested by customers. 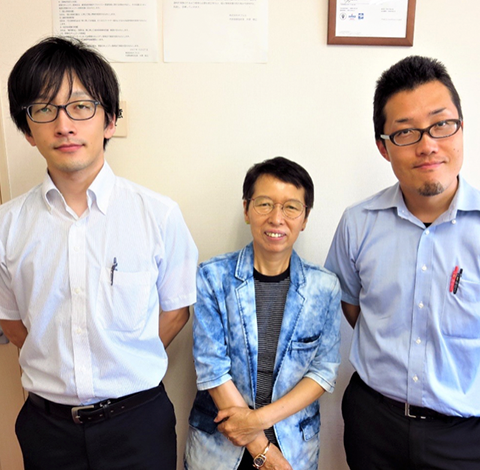 Popls Inc. is a planning and printing company founded in the Itabashi ward, Tokyo. Popls has participated in "Comic Market (abbreviated as "Comiket")," an event focused on the spot sale of self-published coterie magazines, since the first round, earning high trust and support from the manufacturers of coterie magazines and comic-related goods. 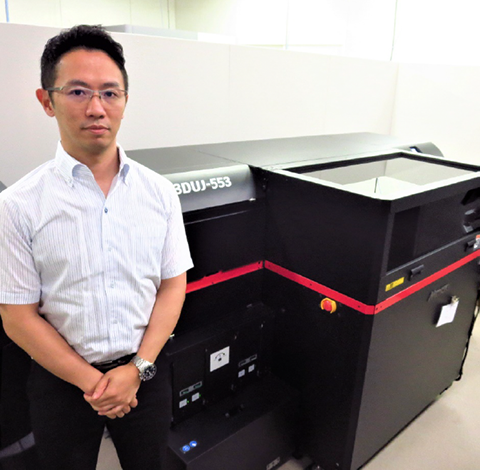 "The '3DUJ-553' is the 3D printer that leads to the future of our company which makes customers think 'Popls has further evolved,'" says Miki Nakazawa, Executive Vice-president, of the purpose of introduction, and the company actually evolves and can see a new world as she says. Mimaki full color 3D printer [3DUJ-553] applied the UV curable inkjet system utilized Mimaki's original technology, which was amassed in our development and manufacturing for inkjet printers of professional use during a long period. To learn more about our products, specifications and quotation, please contact below. © 2017 MIMAKI ENGINEERING CO., LTD.